For some, the phrase budget travel conjures up some terrifying imagery: dirty facilities, cockroaches, and stomach issues from dodgy food. My experience couldn't be more different. From hostels with a social atmosphere, to cooking in groups - here's 8 reasons why travelling on a budget can ensure you get the most out of your experience. What’s the point in travelling halfway around the world if you don’t actually see the place you’re visiting? There are so many people who go to all-inclusive resorts and never leave the complex. They may as well have stayed at home! Travelling on a shoestring means really experiencing the local life. You can opt stay in locals homes, for a true immersive experience. Using public transport (which in some places really is a whole new experience) and actually interacting with the locals is a much better way of understanding a culture. You don’t take your nice stuff backpacking, as you’ll be wearing it day-in-day-out for as long as possible and you don’t want it ruined. I’m not saying that getting mugged never happens to backpackers, but as a budget traveller, you generally don’t look like you have much worth stealing. It’s so freeing to have everything you need on your own back. You’re not tied down by material things, so you have less to worry about. Anything extra you need, you have to get – making you more self-sufficient. When you arrive at a new place, you book one or two nights and if you don’t like it, you just shoulder your bag and move on. Only owning what’s on your back means you can be a lot more flexible and live more in the moment. The less money you spend, the longer you can travel for. It’s that simple. Having to budget and make your money stretch usually means you can keep going! It also means you travel slower, as you spend more time in one city and use buses and trains: so you get to see more of one country as you travel through it. Even if you’re travelling solo (like many backpackers), you’ll soon discover how social it is. You need to make friends, as you can make travel cheaper for each other. You cook together, and try to get group discounts – you’re all in the same boat, so you help each other out. I’ve made some great friends whilst travelling on a shoestring. From them, I’ve learned some great saving money tips. Travelling on a budget isn’t a holiday. It’s not about taking a break from everything and putting your feet up, it’s about exploring and experiencing everything you possibly can. You don’t get waited on: you clean your own towels, do your own washing up and make your own bed. You realise you don’t need another human being running around after you; you’re able to do everything yourself. Who honestly doesn’t love a good challenge? I know I do, and that’s what budget travel is: a challenge. You have to think outside the box to make sure you can travel for longer. You have to weigh up which accommodation is best, looking at the pros and cons as well as the price. You have to figure out what to do other than the main tourist attractions if you’re in a city for an extended amount of time. There’s always a new challenge to think about, and you push your boundaries. What’s your travel style? Do you have some travel hacks that you think we need to know about? 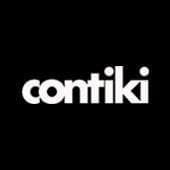 Become a six-two community contributor, and you’ll go into the running to win a trip with Contiki. Find out more here.